The opening discussion, “What is the Law and Society ‘moment’ in South Africa going into 2017, as we respond to the real challenges of law and society in our country” set the stage for robust engagement across a wide range of themes including: Land and Property; Socio-Economic Rights; Gender, Law and Society; Constitutionalism; Citizenship; Urban Land Occupations; Intellectual Property and Indigenous Knowledge; Mining and Extractives; The Environment; Law, Culture and Custom; The ‘Other’ Law; Children and the Law; Courts and Judges; Socio-Legal Research Agendas; Equality; Teaching and Learning; and Protest. 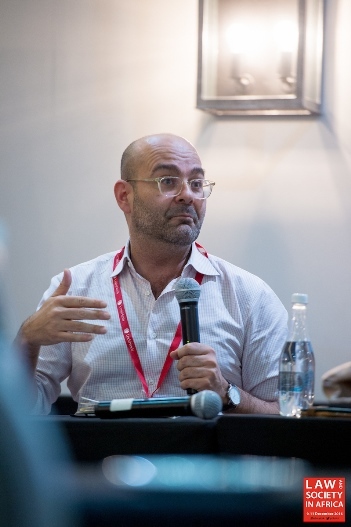 The overarching aim of these panels was to problematize how policy, research and the law respond to an environment that is at once fluid and responsive, but also deals with social problems that are often deep seated and entrenched. 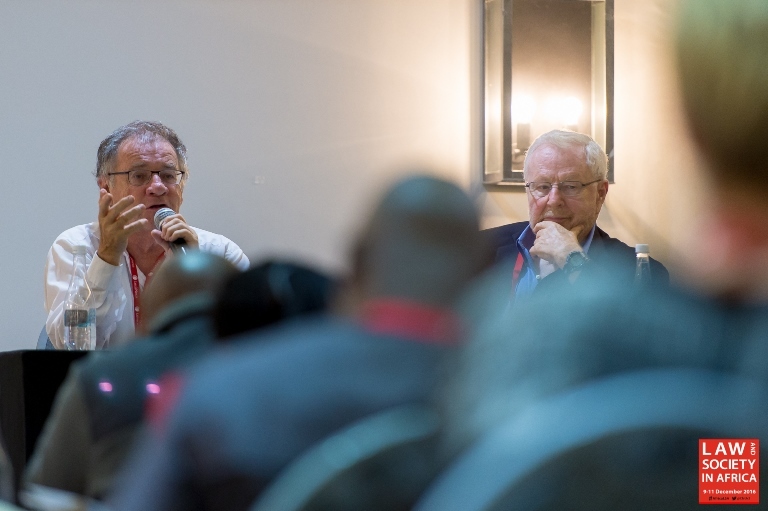 The three day event provided a platform for African scholars to showcase the innovative research and socio-legal work originating across the continent. 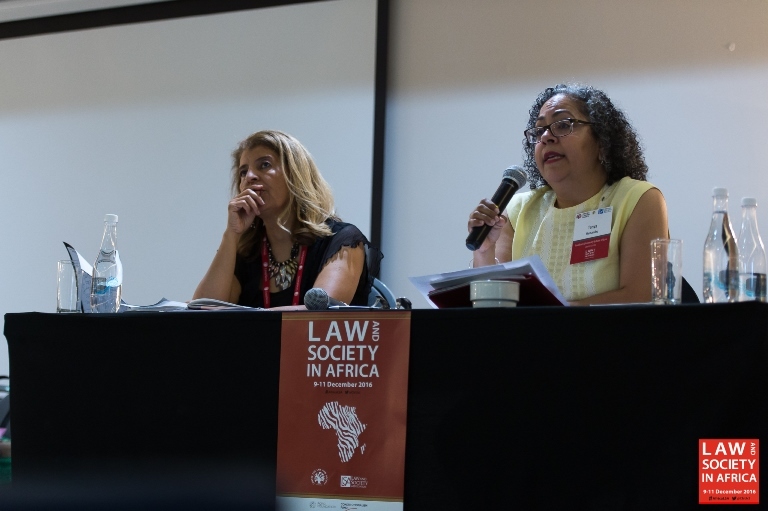 The conference also provided an important moment to stimulate an African law and society network, drawing together scholars from across Africa’s universities, as well as from universities and NGOs around South Africa. Adding to the diversity of voices, perspectives and disciplines were colleagues from various departments in the Law Faculty at UCT, including from the Democratic Governance and Rights Unit, Mineral Law in Africa; Institute of Marine and Environmental Law; Land and Accountability Research Centre and the Centre for Comparative Law in Africa. A number of our PhD students who are part of the CLS PhD Seminar Series, were invited to present their work - which they had throughout the year workshopped at the Seminar Series, as well as chair at the conference. 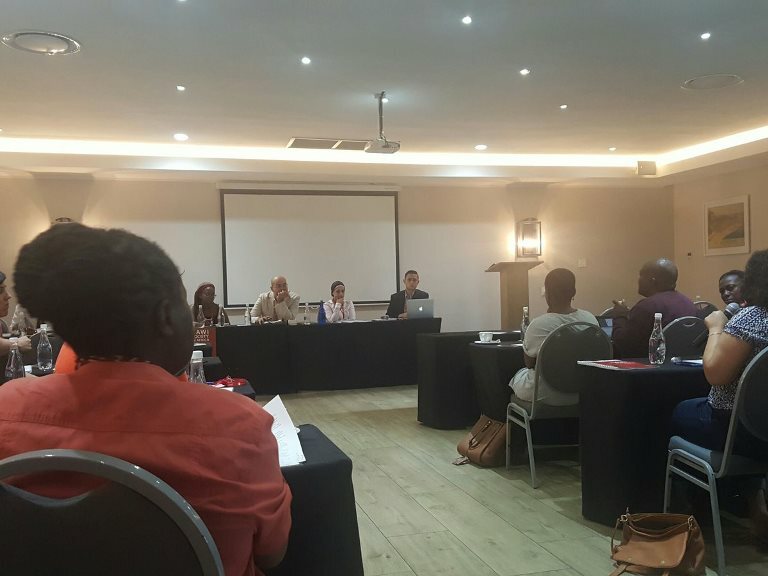 "Provided a well-funded and well-supported space for an Africa focused conference on law and society issues and formally launching the so far absent cultivation of community and shared communication among Africanists in this field." 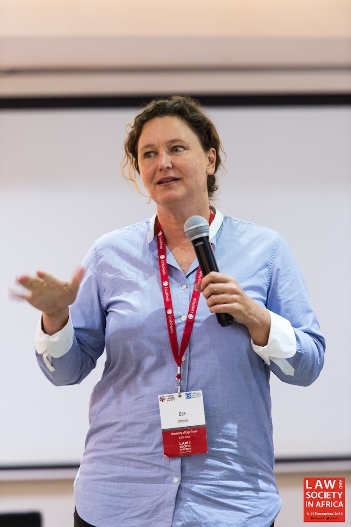 "This was a wonderful and thought provoking conference that brought together some important thinkers from Africa." "This is one of the best conferences I have ever been to. Excellent quality of speakers and wonderful to engage in such rich thinking from and for Africa. " "It was a very impressive conference - intellectually stimulating, congenial, and very well run. It was excellent." 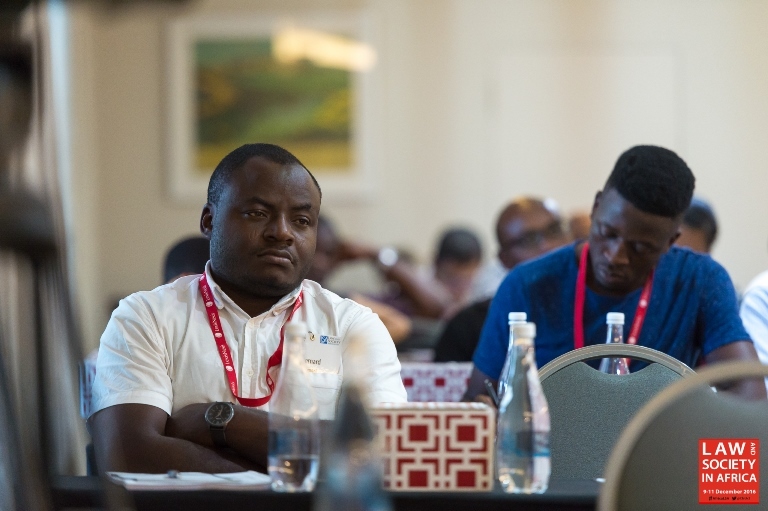 "The opportunity of young African scholars to gather and share ideas and receive feedback was extremely beneficial." 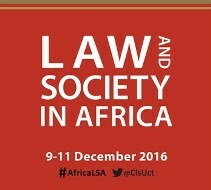 The opening panel of the conference titled: What is the Law and Society ‘moment’ in South Africa going into 2017, as we respond to the real challenges of law and society in our country? Was facilitated by Rashida Manjoo of UCT with Sanele Sibanda, Joel Modiri, Jameelah Omar and Nolundi Luwaya as panellists (pictured below). It was intended to frame the context and moment within which the conference was taking place. The lively and engaging discussion, which included input from the conference participants, set the tone for the following two days. The opening day of the conference closed with a keynote conversation between Dennis Davis and David Trubek (pictured below) on the Development of Law and Society Scholarship. This plenary session was a facilitated session designed to prompt thoughts on the development of and need for law and society scholarship. Day 2 sessions again offered much diversity with panels on key law and society topics like: Constitutionalism, Teaching and Learning, The ‘Other’ Law and Urban Land Occupations among others. 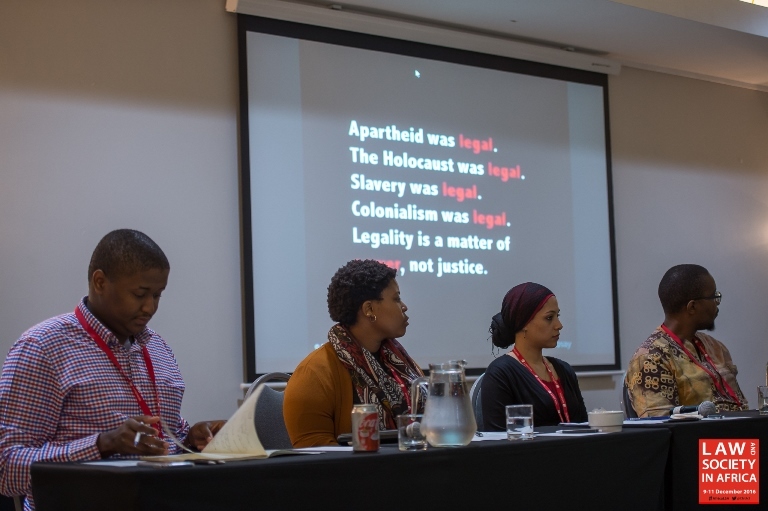 ‘Race and Law’ was the title of the lunchtime keynote conversation held on Day 2 of the conference. 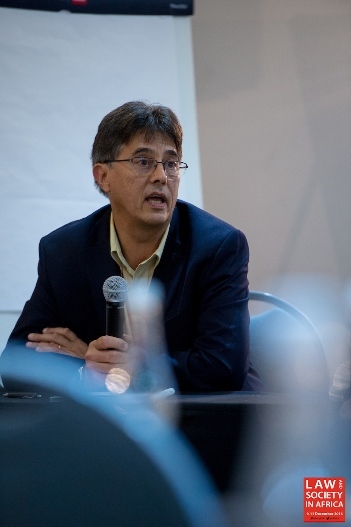 Critical Race Theory expert Tanya Hernandez and UCT Law Faculty Dean Penny Andrews (pictured below) were the panellists in a conversation facilitated by Elrena van der Spuy. 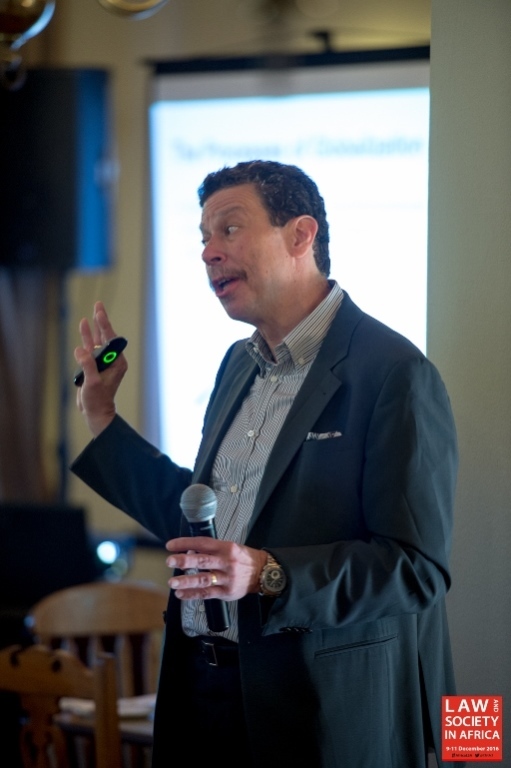 The final keynote conversation of the conference was presented by David Wilkins (pictured below). Over breakfast he engaged with conference delegates on the issues pertaining to the globalisation of the Legal Services Market. The final four concurrent panels continued the theme of focussing on African scholarship contributing towards addressing Africa’s challenges. With panels on Mining and Extractives, Protest, the Environment, and Law, Culture and Custom, the presentations naturally homed in on some of the continent’s most pressing and engaging challenges. Whereas the opening session of the conference was focussed on situating discussions in the here and now by focussing on the current Law and Society moment. 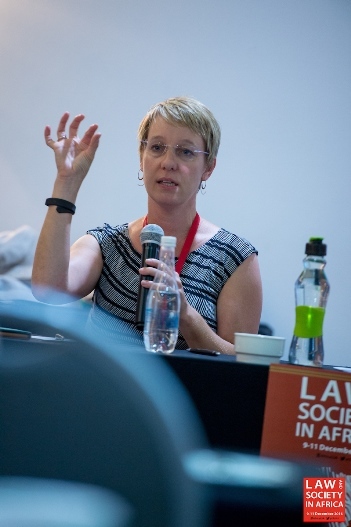 This final session of the conference, facilitated by Dee Smythe, encouraged panellists and delegates to cast their gaze forward and to begin visioning the future of Law and Society Scholarship on Africa.